We’ve created a few digital Katana concepts over the years but it finally looks like a ‘new’ Katana is to be officially revealed next week at the Intermot Show. 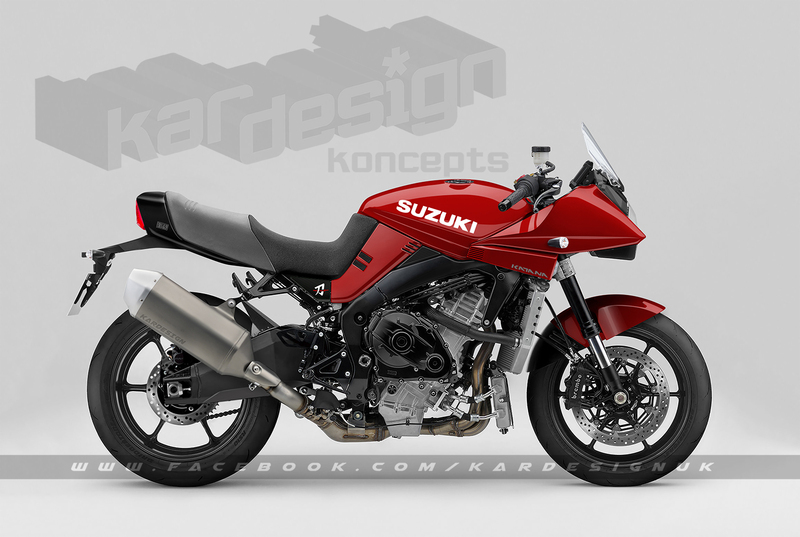 In a series of teaser ads released in a series of ‘phases’ recently, Suzuki have slowly been lifting the covers off what looks to be a re-imagining of the Katana on a GSX-1000S chassis. If it already looks familiar then you’d be correct in thinking you’d seen it before – it was a working concept bike as covered extensively by Italian magazine Motociclismo and unveiled as one of the stars of the show at the 2017 EICMA Show in Milan. In the latest ‘Phase 4’ teaser video, the official bike looks like it shares almost all of the styling cues from the 2017 concept, though with minor detail changes including running lights either side of the fairing, a sleeker cowl-to-sidepanel arrangement and a more aerodynamic rear number plate holder amongst the few barely-detectable differences. 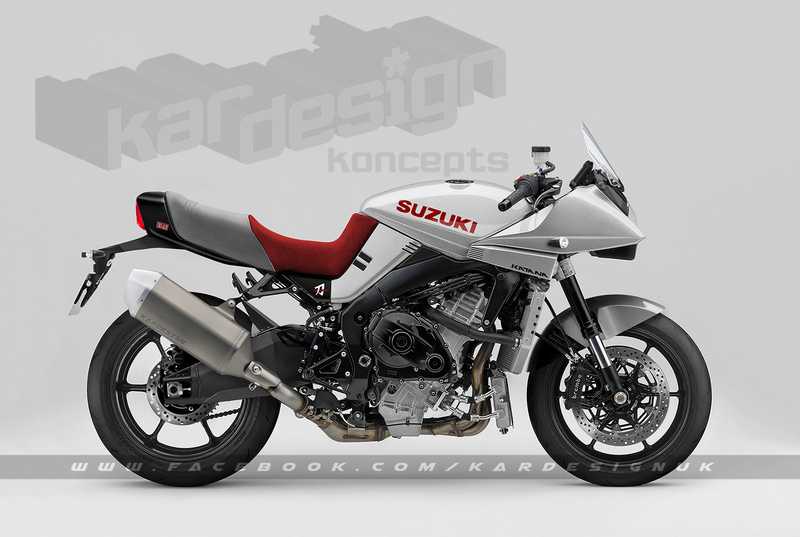 It speaks volumes of Suzuki’s confidence in the concept that they’ve adopted the style almost entirely with so few changes. Underneath the new bodywork, the GSX-1000S foundation is a perfect donor. With a detuned GSX-R1000 K5 long-stroke engine it offers 148bhp with a healthy midrange, making it an ideal, if safe choice for the road. We’d like to think that Suzuki have added a little extra performance though, taking it nearer to the stock 2005 GSX-R1000s 165bhp. The chassis has been proven to be a effective in real-world use too, with easy handling and a flickable nature to its character. All the details will be revealed next week though, and we cannot wait.